1952 Chevy Truck. Wheels and Tyres. 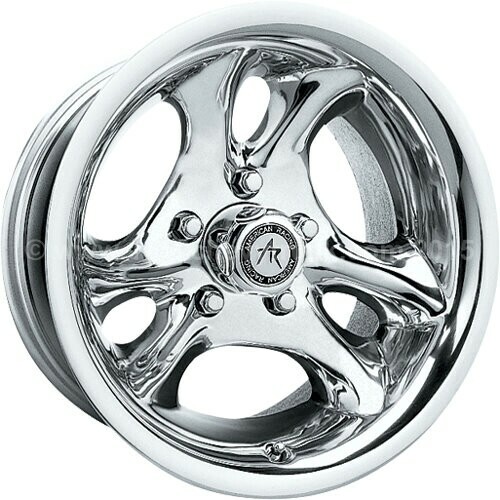 American Racing alloy wheels. Cornell 1000 tyres. 1949-53 Chevy truck. Wheels and tyres. March 2011 - July 2011 and updated March 2015. This is all quite complicated and so a full page has been dedicated to the subject. 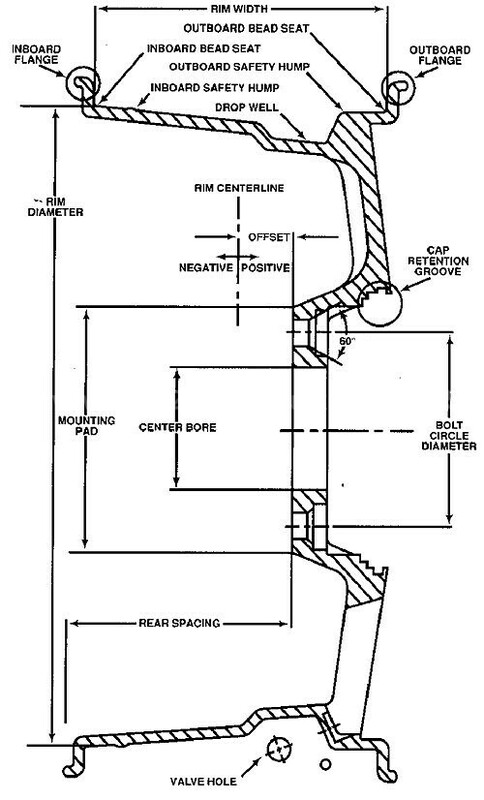 Most original 1947-53 "Advance Design"
for the 3100 (1/2 ton) "Advance Design" truck, the rolling radius is 27 inches which again results in a diameter of 685.8mm. Whitewall tyres were not available prior to 1955. Four ply blackwall tyres were fitted. Original wheels had 6 holes for 6 studs. 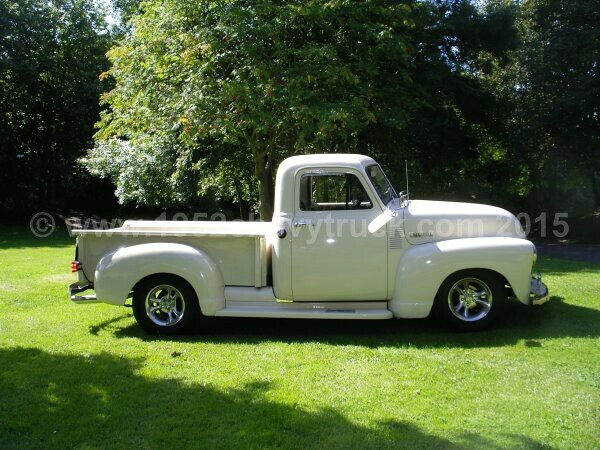 The 52 truck had been restored in the States in 1998 and I bought it in 2007. It is likely the alloy wheels were fitted in 1998.
slightly larger wheel diameter is not significant factor. The picture below shows the truck in August 2007 with the 15 inch "Pacer" alloy rims. All tyres are Michelin 235/75/15R. also very aggressive. "Stance" refers to whether the truck is level from front to back, low at the back or low at the front. at the back than at the front, or it can be adjusted by increasing or decreasing the strength of springs at the back or the front. Looking at the original truck at the top of the page, the stance appears to be neutral or level. can see the front tyres are small and the truck is very low at the front. Too small and too low in my opinion. 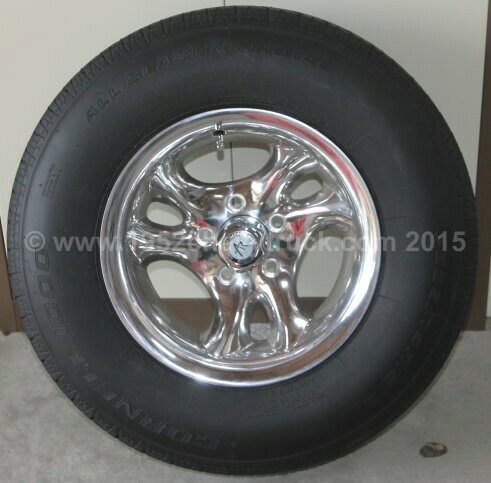 were purchased but instead of 15 inch by 7 inches wide, the new wheels selected were 15 inches by 8 inches wide. 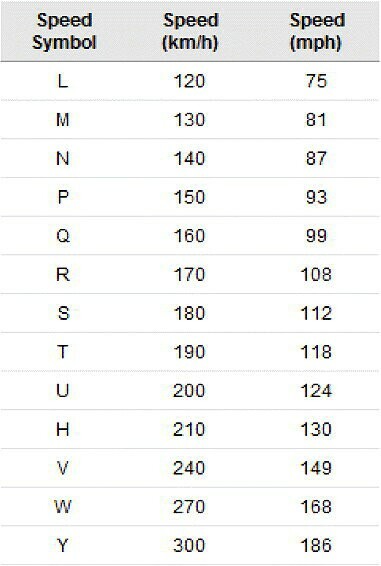 In addition, instead of having a "zero offset", they have an offset of "-19". More about that later. The centre caps say American racing. The old Pacer wheels were not sold. they deal with. Strangely these rims arrived from 4wheelparts using UPS and the shipping costs were no still higher ?? !! Let us now consider offset distances. The original "Pacer" alloy wheels has zero offset and the backspace was 3.75 inches. track at the front. This was mainly a result of the Mustang II suspension which does tend to have a narrow track (e.g. good and they look like classic older vehicles. Modern cars and trucks have the wheels right up the edge or the arches. If the aim is to own cool looking hotrod a wider track looks much better. offset means the face is in the centre of the width of the wheel. If the offset is positive, that means the back spacing is large. wheel is outboard providing a wider track. It is important to check the clearance when wider rims and tyres are to be fitted. and again the tyre should not catch the wheel arch. the holes and gets a good grip on the nuts. 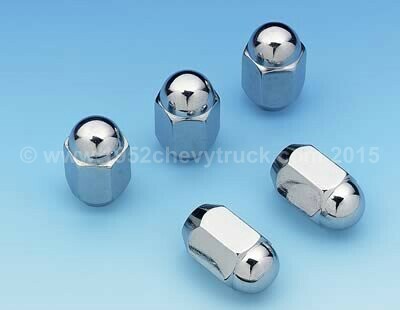 Make sure you order the correct size of nuts for the studs used on your vehicle. Chevy truck uses a 5-lug Chevy lug pattern which is 4.75 inches. See below for how that is measured. There are many factors which affect tyre choice. They are listed below. 6. Comfort - good ride. an issue. 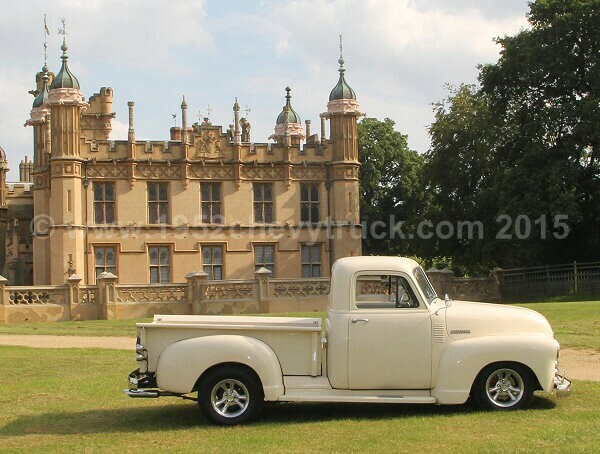 Classic cars and trucks do not tend to do many miles in a year. Indeed classic car insurance usually has restricted mileage. occasionally and in any event, the cost of buying new tyres more frequently is not as important and performance and appearance. "Cooper Tires" for Pep Boys. 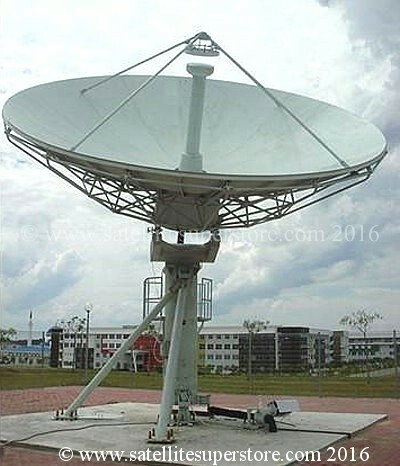 From their web site - Cornell 1000. 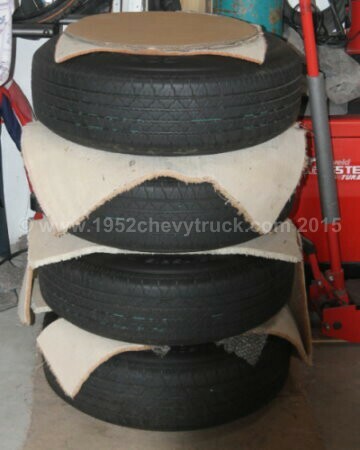 Price - About $300 for 4 tyres. 40.000 miles warranty. "Cooper Tire founded in 1914 by Ira J. Cooper. Cooper is the 9th largest global tire manufacturer and 4th largest in the U.S.A.
Cooper Tire's focus is on the replacement market, offering value, quality products and exceptional service to our customers. Cooper Tire manufactures a wide range of passenger, light truck and radial medium truck tires." Tyre Class - All seasons. There are 75 reviews on the Pep Boys web site and the average rating is 4.5 starts out of 5. Dry traction 4.3 out of 5 (good. Also truck will not be taken out often in the wet). Handling cornering stability 4.4 out of 5. Ride / Comfort 4.4 out of 5 (very important). Why is this Cornell 1000 tyre special? writing. 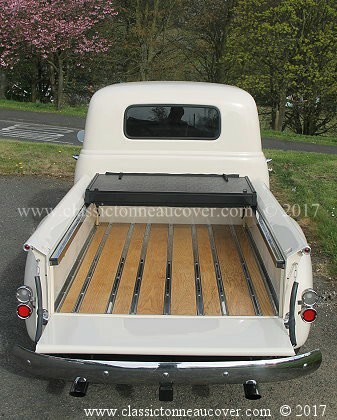 This is what makes this type very special for classic cars and trucks. who will buy goods for you and ship them but they are expensive. Also they may not have a "by Sea" option. 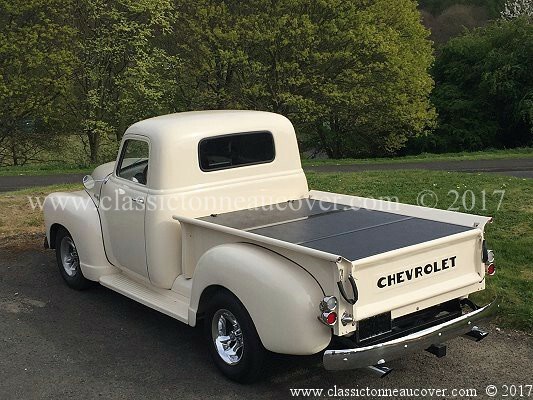 available for Chevy trucks until 1955 I decided to use blackwall tyres. notice the backed out narrow whitewall. 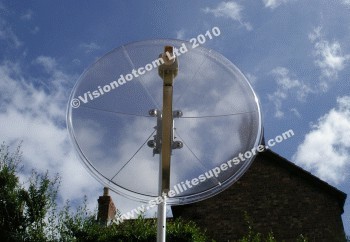 As soon as they are put back on the truck a picture will be added here. Why keep the old "Pacer" wheels? stored in ideal conditions through the winter. They are not standing under load conditions for long periods. The new American Racing wheels fitted with Cornell 1000 tyres are shown stacked in the garage below. They are normally stored with a large blanket over the top of them. This was removed for the photograph. good job yourself. Indeed there are many mechanics who do not understand camber and castor angles. 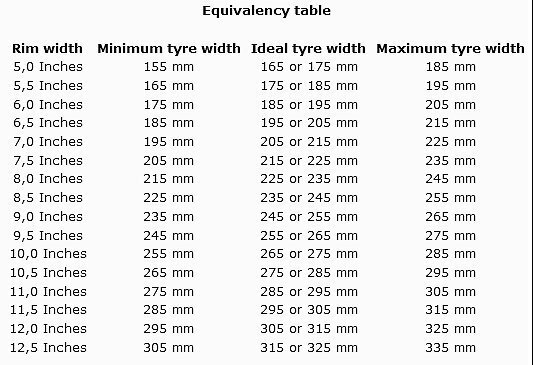 Wheel (rim) width and tyre size. American Racing wheels at 8 inches wide need a tyre width of 225 - 235mm. The Cornel tyres were 235/75 15R. 50 is the profile or aspect ratio. That is the height of the sidewall divided by the tyre’s width. 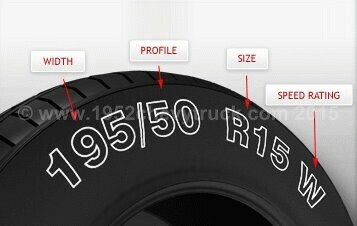 R denotes the tyres construction. Here - radial. W is the speed rating. the tread pattern and here it is important to research the manufacturer’s data and tyre reviews online. Indeed, all aspects of a tyre’s performance are best researched online using tyre review web sites. 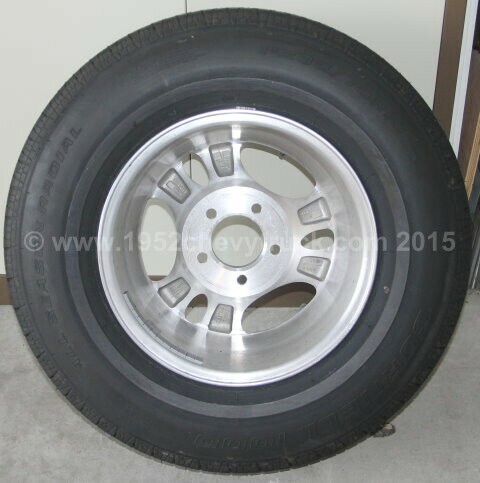 “car tyres”, “van tyres” or "SUV / light truck tyres" but the dealers notes online will include information. There is also a load rating stamped on the tyre’s sidewall.